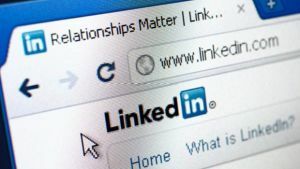 Most Internet-savvy job seekers know that LinkedIn is a highly valuable tool in the job search process. With over 150 million users, it is the number one professional network. However, many people simply use LinkedIn as an online resume, cutting and pasting sections from their traditional paper copy. This doesn’t unlock the powerful potential of this site to really promote the job seeker. To do this, you must learn how to use LinkedIn to promote your personal brand. Your brand is more than just job skills and past work history. It is how you add value as a worker. This value may come from the knowledge that you have, but it may also come from the contacts that you have made in an industry. If you have been a part of successful startup companies, your value is in your innovation and ability to identify beneficial opportunities. Before you learn how to use LinkedIn to promote your personal brand, you have to define it. Potential employers can’t identify your brand by reading a list of your technical skills and previous employers. It’s your job to define that and clearly communicate it in your profile. However, many people don’t know how to effectively translate skills into a brand. Here are some tips to get you thinking in the right direction. What Do Others Say? Think back to previous performance reviews and identify the skills or areas that supervisors praised you for. Find the Common Denominator– Even if you have had multiple jobs in several industries, there is usually a reason why. What is it about each of your past experiences that you enjoyed or really thrived at? You may not have liked the job itself, but there was probably one or two aspects that worked well. Find Out Who You Are– Take time to think about what things you believe you do well, including both soft and technical skills. Identify your passions to help define what you want out of a career. If there is a certain work moment that inspired you, ask yourself why it was so memorable. Many LinkedIn users don’t have a photo on their profile, which is a huge brand development mistake. Potential employers can relate more to people of who they have a visual image. This is just how human beings work. When choosing a photo, opt for one that is professional but stills allows your personality to shine through. Additionally, make sure that your face is clearly visible so that people recognize you when they meet you in person. The LinkedIn summary section is one of the most important on your entire profile. It allows for more natural language than you can use on a resume. It’s also where you explain your brand. When writing your brand, think about the defining moments in your past work history and explain how they have gotten you to your current career level. It should contain your core value, your backstory and where you aspire to go in your career. Keep this section as tight as possible, with no more than three to four sentences. The specialties section is where job seekers can really shine. Remember, this isn’t a resume. Don’t just copy and paste a list of skills. Instead, examine those skills and choose the one or two that you do better than anyone else. Summarize your successes in these areas and explain why you are so good at them. Again, this isn’t your whole resume, so highlight your past work experience that most directly relate to your summary and your future career goals. Make sure that it supports what you wrote in the summary section. Whether you live in Michigan or around the country, the professional writers at Vertical Media Solutions can optimize your LinkedIn profile. Our personalized employment services are designed to encourage relationship building and improve profile visibility. Learn how we can help today: 616-631-4300. This was incredibly helpful! Kudos to the author! It’s interesting to know how many people just do not know how to use LinkedIn to there advantage. I found this post to be informative and useful. Thank you for the well written article.